This is Part II of a two part series on Hollywood in and around Grauman's Chinese Theater and the Hollywood and Highland complex. Here's a link to Part I from last week. 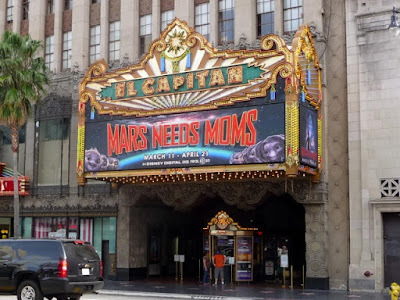 In many ways the urban renaissance that Hollywood is experiencing can be traced back to this one spot: the El Capitan Theater. 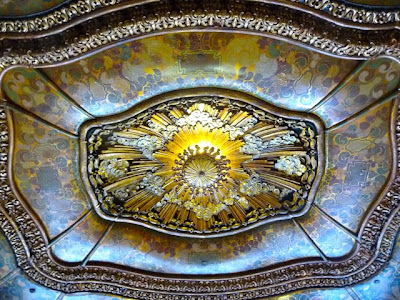 In 1989 the Walt Disney Company partnered with Pacific Theaters in restoring the 1926 El Capitan to it's original greatness. The theater re-opened to the public in June of 1991. The theater now serves as an exclusive location of first-run Disney films. 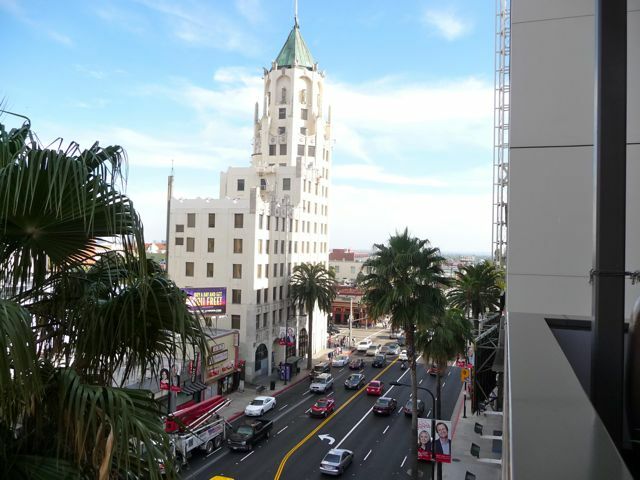 Disney took a gamble in investing in this part of Hollywood, and it paid off. 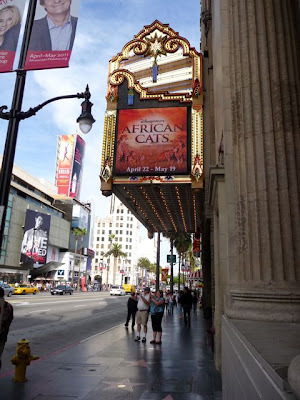 The El Capitan Theatre has hosted live stage shows, world premieres, and other special events that have helped restore showmanship to this stretch of Hollywood Boulevard. A quick peek at the entry court gives a glimpse at how much work Disney put into restoring the El Capitan. I've been inside on three separate occasions - it's a fantastic experience, one I highly recommend. This is Part II of a two part series on Hollywood. 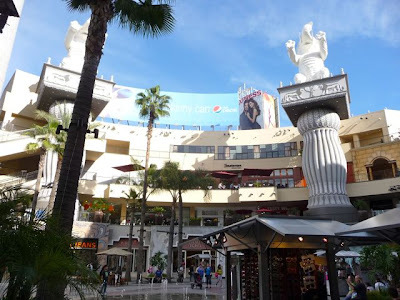 Click here for last weeks post on the Grauman's Chinese Theater, Kodak Theater, and the Hollywood Walk of Fame. 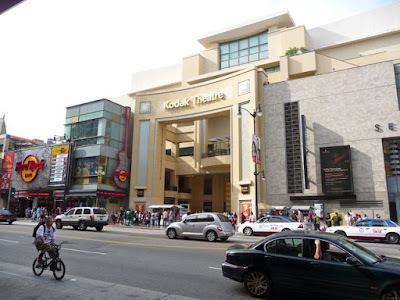 The Kodak Theater, part of the much larger Hollywood and Highland complex, is the home to the Academy Awards, as well as a ongoing Cirque du Soleil performances. 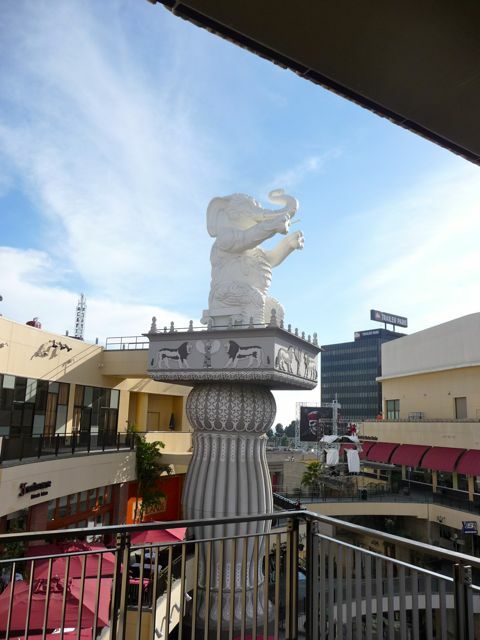 Here's a view across the street from the El Capitan Theater of the Hollywood and Highland complex. The complex opened in 2001 - ten years after the restoration of the El Capitan. 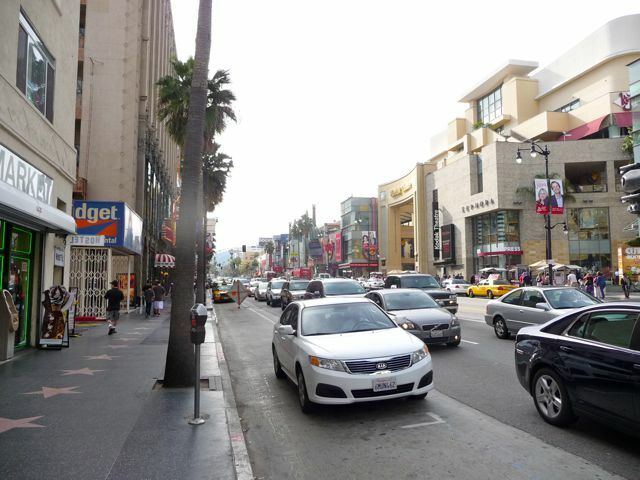 More on Hollywood and Highland in a bit. Hollywood Blvd still has an abundance (an over abundance imo) of t-shirt shops, souvenir stands, tattoo parlors, and trashy lingerie shops. Most tourists who visit are usually surprised how, well, run down much of the area feels. Having grown up in Los Angeles in the 1970's, I can attest that this who area is much nicer, more cleaned up, than it was 30+ years ago. The area is not - and maybe will never be - a Beverly Hills, but it's become a much more enjoyable place to visit than when I was a kid. 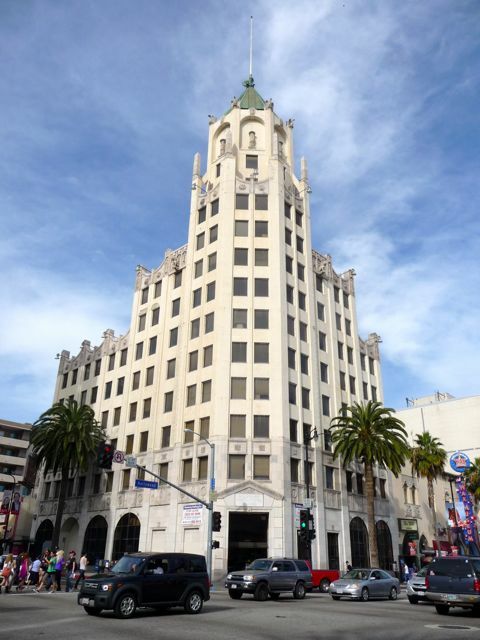 At the intersection of Hollywood Blvd and Highland Avenue is the First National Bank Building. Built in 1928, is was at the time the second tallest building in Los Angeles. The 13 story structure was most known as one of the backdrops of Metropolis in the 1950's Superman TV series. Looking east on Hollywood Blvd. There's a Ripley's Believe It Or Not Museum on the southeast corner of Hollywood and Highland (never been - no interest). The Pantages Theater is a mile east (here's a link to a when my wife and I had to attend a show with friends). Meanwhile, the Hollywood and Highland entertainment complex has given the area a bit more of a "Times Square" feel and vibe - on a much smaller scale, of course. The City of Los Angeles (Hollywood is a community within the City of Los Angeles) relaxed some it's zoning regulations to allow these billboards, much to the chagrin of some neighbors. 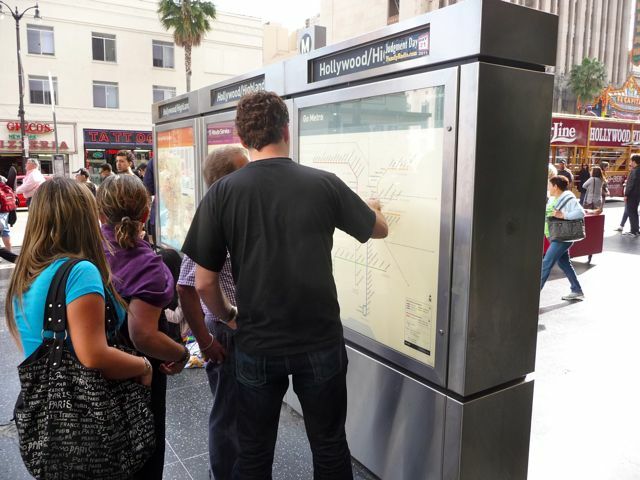 Out of town visitors reading the subway map. Yes, Los Angeles does have a subway - going 16 miles from downtown Los Angeles to Hollywood and finally terminating in North Hollywood in the San Fernando Valley. Plans include extending a second line west through Beverly Hills into Westwood and UCLA, but that's many many years away. 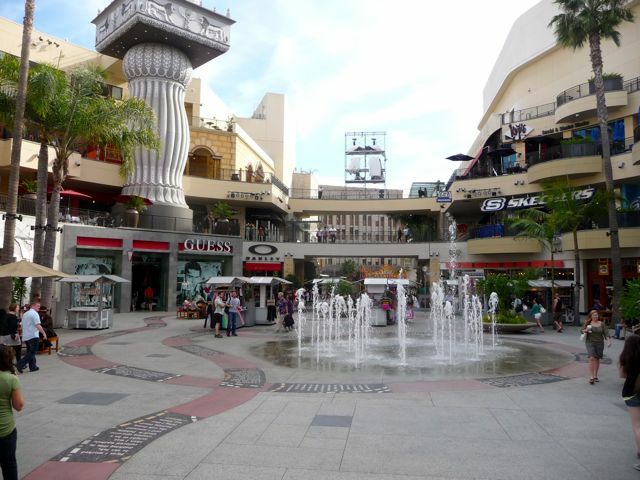 The interior court of the Hollywood and Highland complex. Nice. But where is something like NBC's The Today Show? A west coast version of the very popluar New York City based syndicated show? Wouldn't something like THAT be a draw for both locals and out of town guests? The white elephants are designed to invoke the equally massive "Babylon Court" set from pioneer film maker D.W. Griffin's 1916 film Intolerance. It would be another twenty years before any studio would again attempt to built sets of this magnitude. 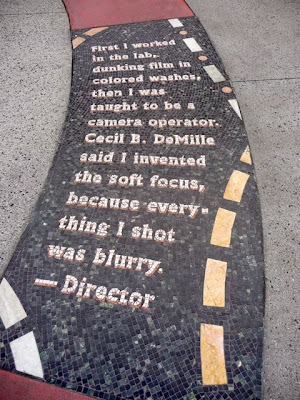 A plaque commemorating the film and the set. 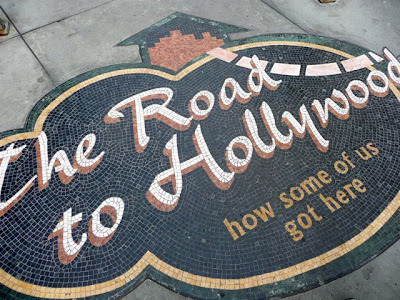 What I found interesting is that the original set was considered the first tourist attraction related to the movie business. "The Road to Hollywood: How Some of Us Got Here." 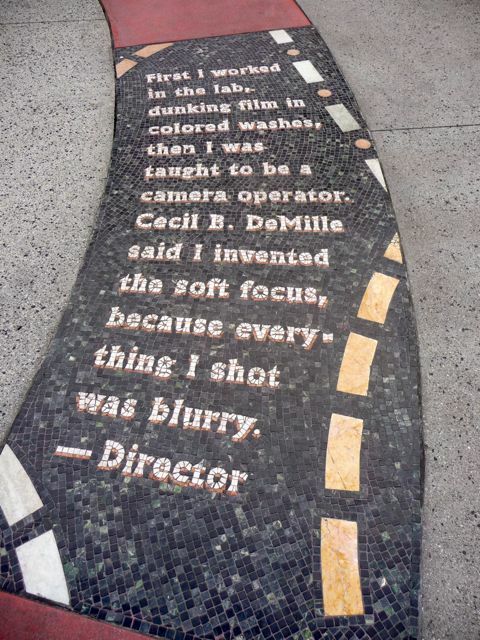 Along the pavement you'll find a series of interesting quips and quotes from directors, producers, actors and other professionals in the entertainment community in how they got their start in the industry. Here's a link to a website that catalogued every single quote - and with the actual person who originally said it. In this case the "Director" was Mervyn LeRoy. 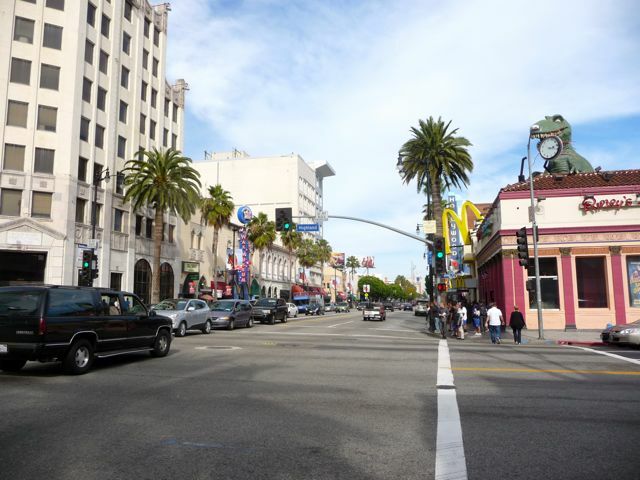 Los Angeles, and Hollywood specifically, is a city of incredible ambition. 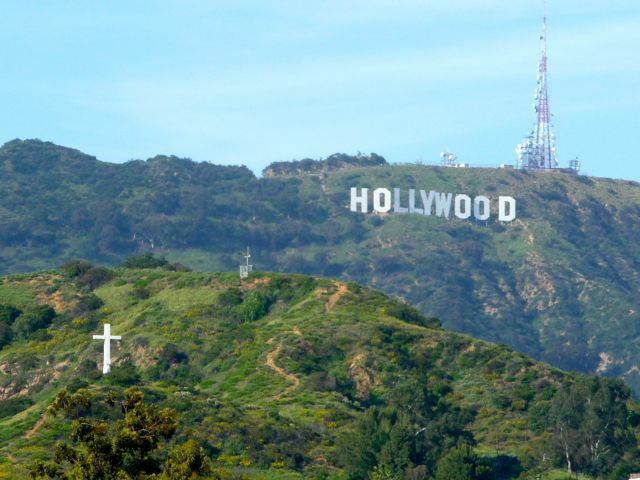 Every year 19,000 people move to Hollywood to try and break into the entertainment industry. For every one person that does, at least one hundred don't. It's very challenging, very demanding. Several months ago I heard a fascinating message on the topic of "ambition." Specifically, "what does it mean to be ambitious in a city like Los Angeles?" Here's a link to the talk, given by Pastor Rankin Wilbourne of Pacific Crossroads Church, part of a larger series "How To Live In and Love Los Angeles." 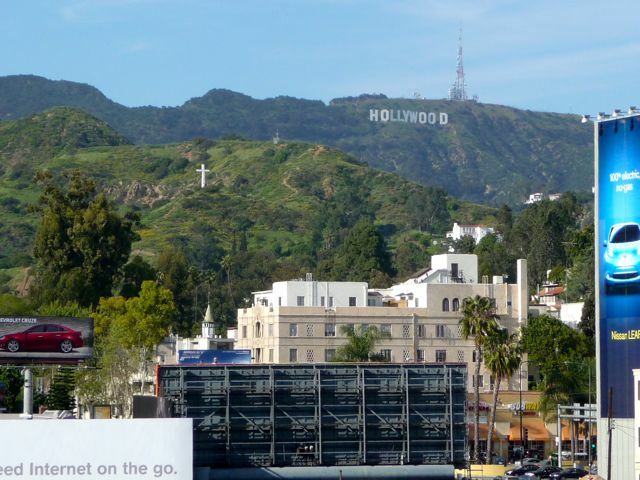 What would a visit to Hollywood be without a chance to see the world famous Hollywood Sign? 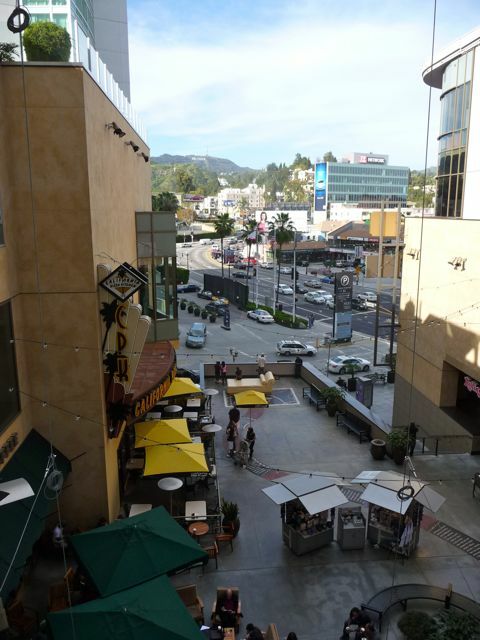 Walk up to the third floor at Hollywood and Highland and you'll get nice view. Here's a link to a previous post on the best place to (legally) get "up close" to the Sign. 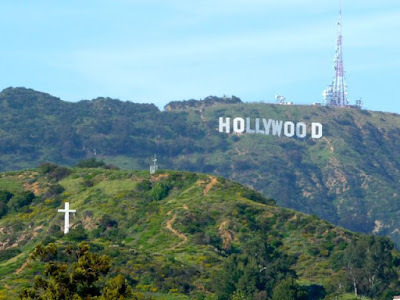 The white cross is designed to be visible from the nearby Hollywood Bowl for their sunrise Easter Services, held since the 1920's. Here's a link to our experience there a few years ago. 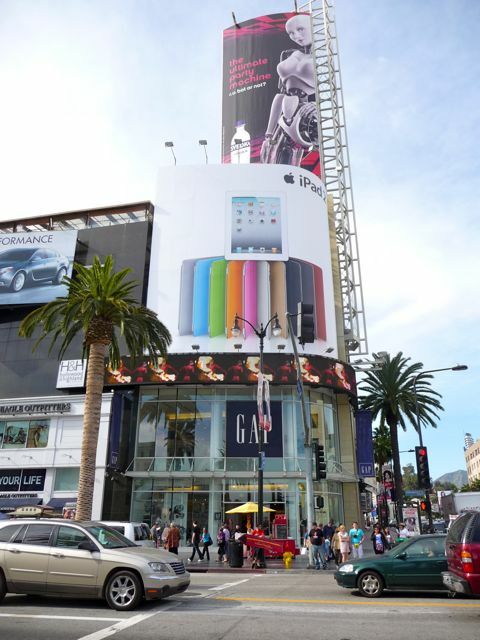 Back at Hollywood and Highland. 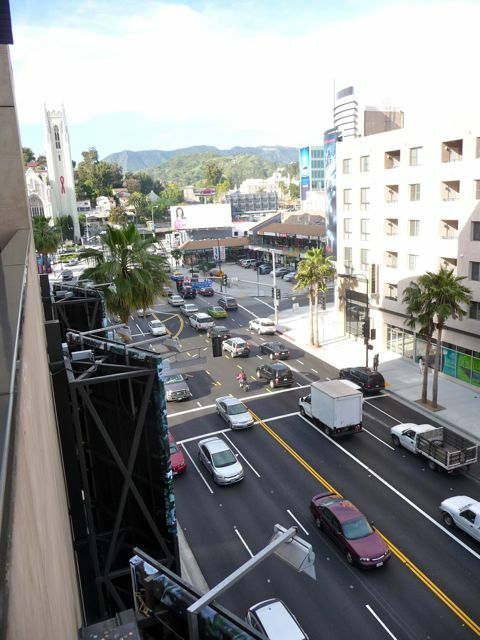 Another view looking up Highland Avenue with the Hollywood Sign in the distance. Another angle of the same view. Looking south down Highland with another view of the First National Bank Building. Beautiful, classic building. 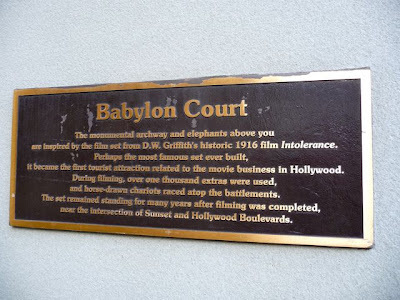 Another view of the Babylon Court. 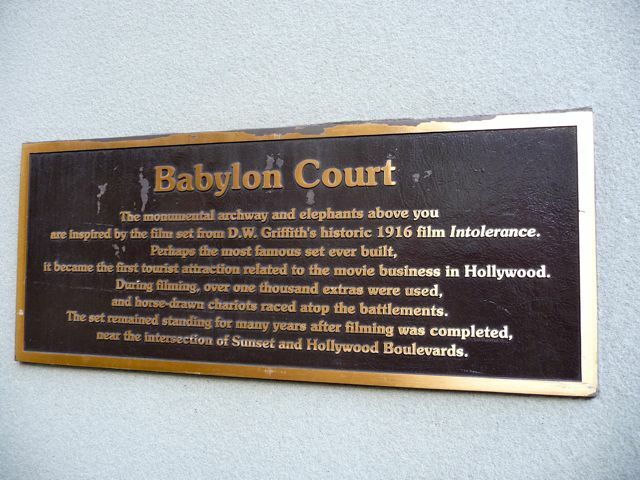 Here's a link to a one minute clip from D.W. Griffith's "Intolerance". 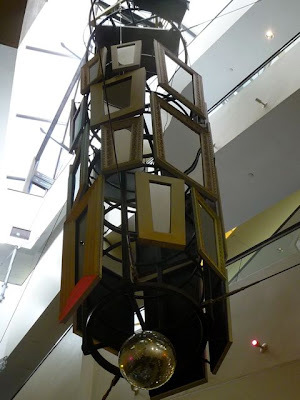 Heading down towards the massive parking garage under the Hollywood and Highland complex, my wife and I noticed a large sculpture consisting of a series of mirrors. Fitting, in many ways, to both the ambition and vanity that is so often Hollywood. 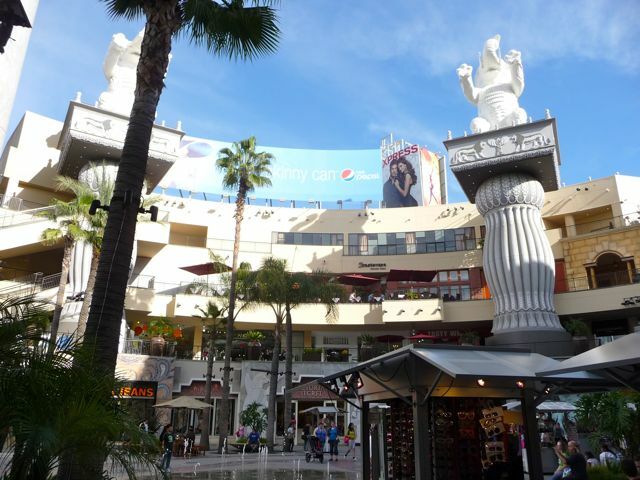 Hollywood and Highland, along with Grauman's Chinese Theater, is a good place to start if you want a little taste of Hollywood. You'll see a whole lot more tourists than movie stars - actually, you probably won't see any stars. But it's still fun to walk around for a hour or two, and experience a bit of Hollywood's past, present, and future. 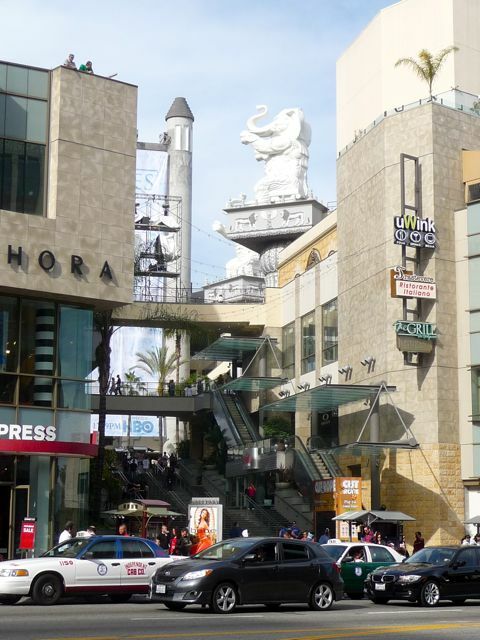 Here's a final link to the Hollywood and Highland entertainment complex.